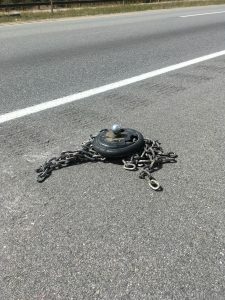 When I was driving back from the Tetons this summer, my car was totaled by a truck’s automatic chain that was lying in the middle of the road. Fortunately, there was no accident and no one was hurt, but the damage to the underside of my car was enough that my insurance company wasn’t going to fix it. The whole process of buying a replacement car inspired this post, as it gave me plenty of opportunities to think about the delicate balance between making rational decisions, and trusting my intuition. 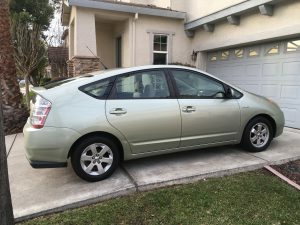 I knew I wanted another used Prius, so that’s where I began my search. I narrowed it down to two cars – a white Prius with very low mileage, although it didn’t have all the bells and whistles and cost a little more than I ideally wanted to spend. And the second was also a Prius, in a lovely shade of green (silver pine mica green, to be exact). It had twice the mileage of the white Prius, but had more bells and whistles and was within my ideal budget. However, I had looked at the white Prius first, and since it was such a good deal, and the owner had even dropped the asking price for me, I put a deposit on it. But that night, I could hardly sleep. I felt really stressed – torn between feeling that I should want it, yet not feeling at all excited about it. But I kept trying to convince myself that I should buy it. It had such low mileage! The next morning I woke up knowing that I couldn’t buy the white Prius without looking at the green Prius. So I went to take the green Prius for a test drive, and I knew immediately that it was the car for me. I could hardly wait to take it home! All I needed was my mechanic’s okay. Unfortunately, while I was trying to get clear about what I wanted, the owner of the white Prius had gotten his car smogged and ready to sell, assuming I’d be picking it up that day. He was not pleased when I called to tell him to keep my deposit. Looking back on it, I think I knew early on that the white Prius wasn’t the car I wanted. I let myself get swayed by all the things it offered that rationally made it a very good purchase – low mileage, well taken care of, and no other red flags. I wasn’t admitting to myself that I had fallen in love with the color of the green Prius, and was excited about the bells and whistles. And, I was trying to deny the obvious signals that my gut was sending me about buying the white Prius – my lack of enthusiasm, my stress after putting the deposit down, even a feeling of dread – I was trying to push all those feelings down, trying to be rational. I’m sure the owner of the white Prius would have appreciated it if I had listened to those signals sooner, and I would have saved myself a lot of stress – and my deposit. There’s plenty of research, however, that shows that our “intuition” is often wrong, and leads us to make erroneous decisions. It is also notorious for perpetuating our subconscious and unconscious biases. So I’m not advocating that we only make decisions based on our gut – it can lead us astray. But completely rational decision-making isn’t always the answer, either. Say you’re trying to decide whether to stay in your current job, or find a new one that suits you better. By all means make a list of the pros and cons of staying and leaving, do the research into what other jobs are out there, and figure out the costs (both financial and otherwise) of remaining where you are versus taking a risk on something new. But at the end of the day, you may not get all the data to make a completely rational decision, and at some point you’ll want to tap into that gut feeling to help you decide. I love this advice from Mel Robbins – if it feels light, go for it! If it feels heavy, then don’t! That’s a quick way to check your gut and see how a decision feels. And that’s what I was ultimately listening to when I decided which car to buy. I went with the decision that felt light, that felt exciting. And I’m so glad I did! It makes me happy every time I drive somewhere in my silver pine mica green Prius. And hopefully the white Prius has found a new owner that loves it just as much as I love my green one.